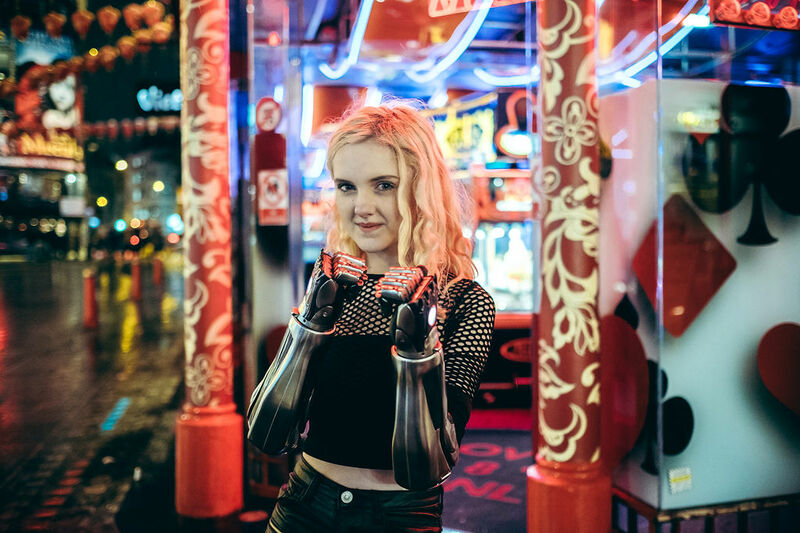 We've teamed up with 20th Fox, James Cameron and the new Robert Rodriguez-directed blockbuster, Alita: Battle Angel, to surprise 13-year-old bionic girl Tilly Lockey with brand new bionic arms at the movie's world premiere in London. Science fiction comes to life..! The Hero Arm is a 3D-printed multi-grip bionic arm for people with below elbow limb differences, and the first of its kind for children as young as eight years old. Hero Arm users like Tilly open and close their bionic hand and change grips by flexing muscles just below their elbow. Users can also swap covers to match their style, and we plan to release Alita: Battle Angel covers later in 2019. Tilly wears two Hero Arms, the world's most affordable bionic arms. The Hero Arm is now available through private prosthetic clinics for people with below-elbow upper limb differences, aged 8 and above.